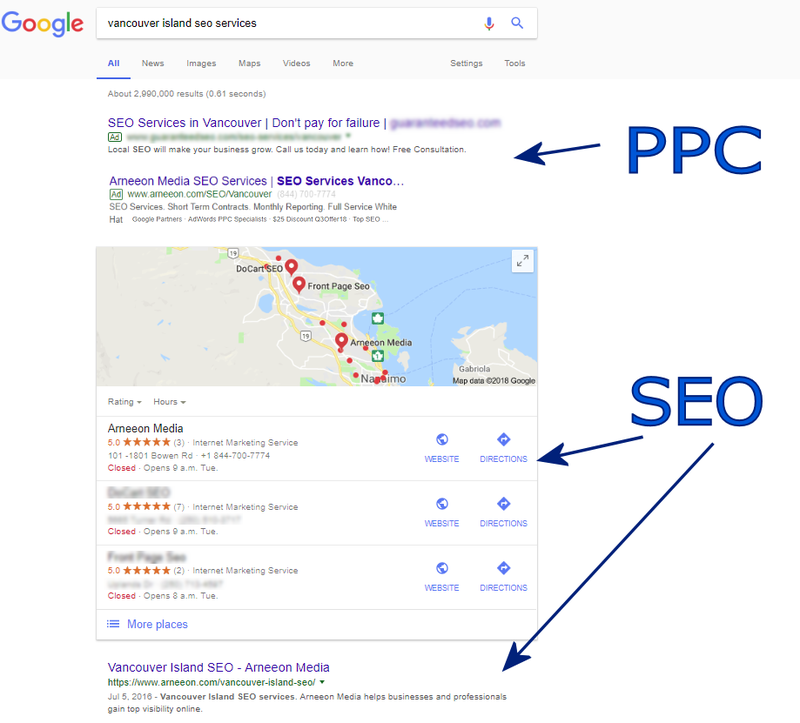 SEO and PPC Specialists Serving Vancouver Island, Nanaimo, Victoria, Vancouver, Kelowna, Penticton, Canada, USA, and North America. Are you looking to get visibility to your business and the customers or leads you need to succeed? Arneeon Media is a Digital Marketing company specializing in SEO ( Search Engine Optimization ) and PPC Services. The backbone of marketing in this online world is organic traffic targeted to your specific niche. SEO builds your visibility, creates authority, and trust over time. PPC ads get your site, product, and/or brand to the top of search results immediately. Both of these strategies make your website/brand visible to people searching for your service or product right when they need it. This builds targeted traffic on an ongoing basis. Simply put, if you are not found by those looking for your service, you may as well close your doors. Being visible on mobile and desktop search and in the map results is key. We offer full packages that include the “right now” digital marketing of Google Ads (PPC) combined with the long term foundation of SEO. Want to increase your visibility, grow your client base, build your leads, and your ROI? Arneeon Media is a Google Partner offering best practice SEO and Google Ads services. We increase your visibility and raise your search rankings so that your customer base grows. Monthly reports document your progress, revenues will follow suit. Short term contracts that give confidence to our clients. If we do not perform, why should you be forced to stay with us? We aren’t satisfied until you are on page one of Google. 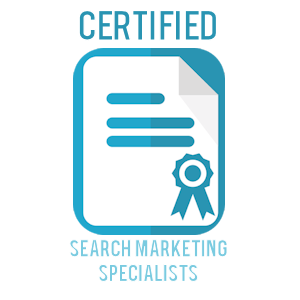 Our goal is to get you there even for the most difficult search terms through long term organic results, and via immediate PPC (paid search) placements. We have moved many sites to page one using best practice SEO & PPC strategies. As our client base and consultation grows, we field a number of questions. Some are asked on a regular basis and come from an authentic need to understand what we do, how it works and how it can benefit you. We have consolidated some of the more common questions and answers here to help with the decision process for individuals and companies looking to work with Arneeon Media, one of the top SEO companies around. The short answer is that Search Engine Optimization is a means of bringing websites and brands from obscurity to visibility. SEO companies keep up with all the latest requirements and algorithms of search engine platforms and work to make sure their clients comply. We correct on-page issues and build off-page authority using best practices so that our customers sites can rank in organic search results, map listings for mobile and desktop searches. This is a great question as it points to a common misunderstanding. SEO is not just a marketing service or package as some may sell it to you online. It is a sustained brand and authority-building process. Often results can become noticeable in a month or two, but the growth comes as the service continues. It also expands as authority builds. It all starts with our Discovery Form and follow-up analysis. Authority is the most powerful charactersitic that the major search engines look for when determining the visibility of a site. It is the combination of two factors, trust and reputation. If your site gains trust and becomes a reputable source for the target information, it naturally moves to the top of the ranks and becomes visible. We help you get their using proven, long-term strategies that work and will not get you penalized like some of the quick-fix methods out there. Cost is determined by competition difficulty on a case-by-case basis, we offer low-range, mid and high range package options so that we can adapt to most budgets. Start Here and we will follow-up with a consultation outlining best options for you. What is SEO and PPC, and what does it look like in search results? A picture is worth a thousand words. This image shows a recent search using the keywords, "Vancouver Island SEO Services". Those keywords are targeted in the strategy of both the Pay Per Click marketing at the time and our Search Engine Optimization. Google places ads above and below the organic search results and the map pack. In this image you can see our ad from the Google Ads example showing just above the map pack. The organic results are the map pack which gives the local pin results, and the organic search results just below the map pack. All of these organic results are targeted by our SEO strategy using on page and off page best practices to gain natural authority and trust for Google search results. Master at ranking for competitive keywords, and learned from the best. Always is up to date with the latest tactics and techniques. Ill keep using Arneeon Media. 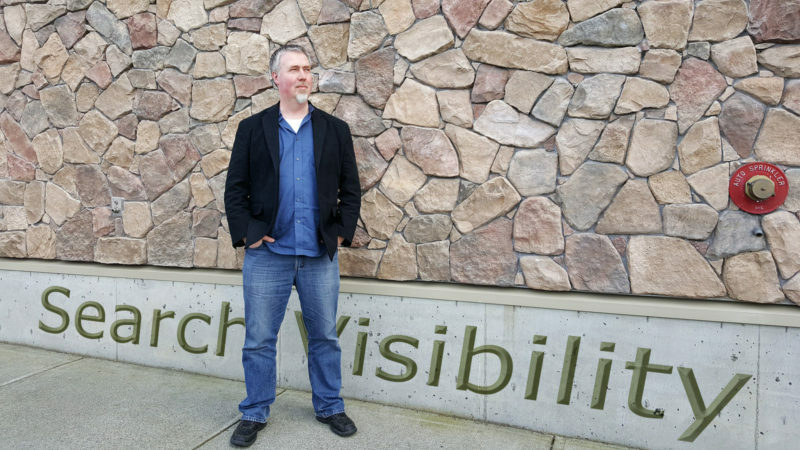 Derek is one of the most knowledgeable SEO’s and digital marketers around. Not only is he extremely professional, but his work is top quality and you’ll see a great return from working with him. Seriously, if you take your business somewhere else, you are truly missing out on a great guy who always gets the job done. Within three short months we were ranked on the first page of Google for all of our major keywords. In dealing with Derek and Arneeon Media, we are confident that they will be able to obtain that placement that your company requires to meet its full potential. Drop us a line or send your inquiries anytime. Begin your Custom SEO or PPC plan in 3 minutes.